Described as an astronomical event not to be missed and would have been live streamed all over the world; 2000 EM26, a 900-foot asteroid, was supposed to streak by the planet Tuesday night, close enough for us to see it as it zoomed by. Somewhat alarmingly however, it never showed up, sending astronomers into a blind panic as they came to the realisation that it had vanished and they have no idea where the asteroid has gone. There are many theories as to how the thing just disappeared. It’s most likely that it’s orbit was originally miscalculated - but surely not by everyone who did so? Did no one double check? It’s not the kind of calculation you’d want to get wrong, especially if an asteroid was coming close enough to Earth for to us to see. 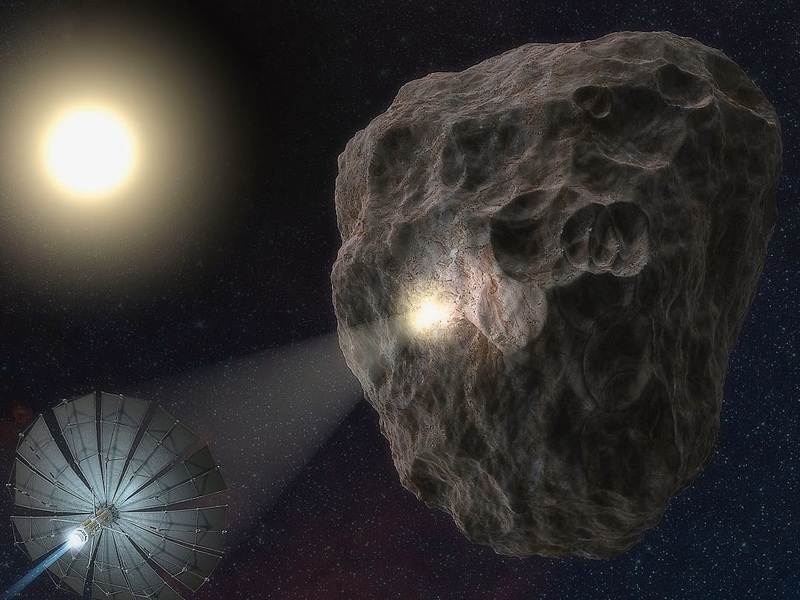 The Slooh observatory is trying to track down the asteroid using robotic telescopes, and has also asked amateur astronomers to help out with the search. In an announcement that appears unrelated, Major General “Spiker” Lurd, SPEARHEAD Deputy Commander for Planetary Defences, announced that there was a successful test firing of the Microwave Energy Earth Orbital Weapons System [MEEOWS] developed by DARPA, the The Russian Federal Space Agency and Google. “We had as successful test firing on an unidentified space object about the size of 3 football fields” announced General Lurd excitedly. “The object superheated and we believe it silently fragmented into granule sized debris,” he said grinning from ear to ear. “We can’t wait to try it out on the alien mothership when it…” but apparently before he was finished the General’s microphone was cut and his assistant thanked reporters for attending before dismissing them. Source: IO9 / Slooh / Mr. V.